You can always count on Kate Spade for a healthy dose of bold colors and kitschy cute accessories. The brand's theme of the month seems to be tennis (just in time for the Indian Wells tennis tournament nearby!) 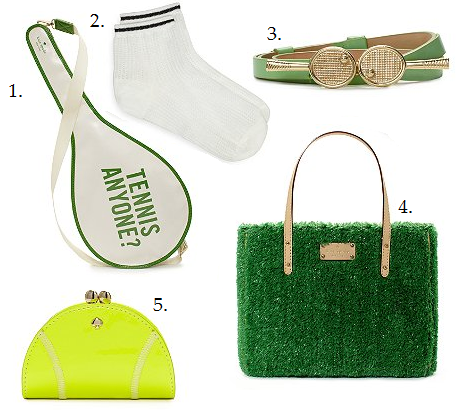 and as a vaguely avid tennis enthusiast, I absolutely adore the tennis court greens and actual tennis accessories! Count on these bags being very popular in Palm Springs as the tournament heats up.